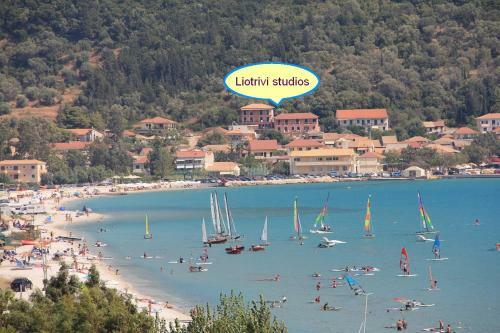 Liotrivi Studios is located in Vasiliki, Lefkada. Liotrivi Studios offers to its guests barbeque	and garden. The property provides accommodation in studio, family room, 2 bedroom apartment and other might be available upon request. The rooms offer view. Amenities of the rooms include a/c, fridge and more. Each unit has own bathroom. In the kitchen there are fridge and kitchen utensils. Fields with * are required. The enquiry is sent directly to Liotrivi Studios.